If you are looking for an extraordinary type of jewelry, you came in the right place. Black diamonds are distinctively rare but beautiful. 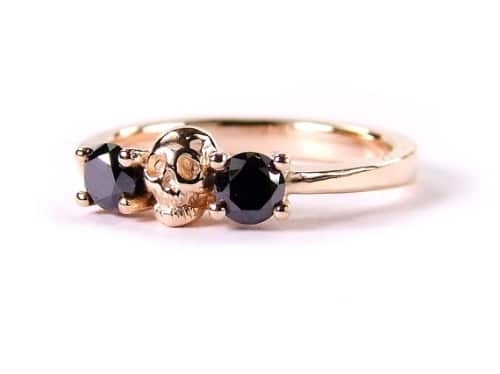 If having the usual clear diamond jewelry bore your exquisite taste, black diamond rings may just be perfect for you since they offer something a little bit different than the others. 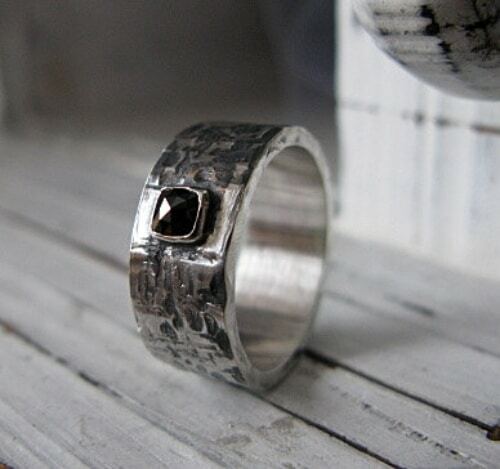 Black diamonds look great when matched with white gold for your ring. They also look impressive when combined with white diamonds. 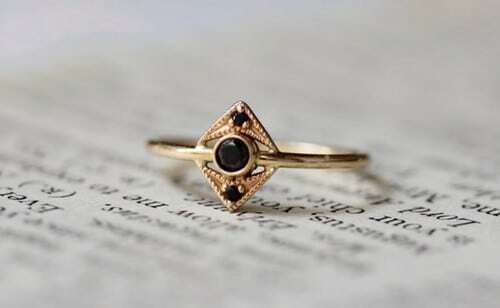 Black diamond rings are typically worn by men since they feature a darker and more masculine color but they can definitely be worn by women too. Black diamond rings are one of the most popular trends in weddings and engagements. Whether you want to get a pair of black diamond rings for your engagement or purchase a single ring to express your personality, it is important that you are knowledgeable about them. Before purchasing a black diamond ring, let’s learn more about their types, grading, price, essential shopping tips and proper care. 2 What Are Black Diamonds? 6.4 Where to buy a Black Diamond? Since you are used to the traditional diamonds, you may be curious about how this black stone could even sparkle. For years, black diamonds have been an enigma not only to jewelry makers but also to consumers. It seemed to be a thing that is very difficult to understand or explain. Because of its unique attributes, you may have doubted even for once if these diamond are real or not. Well, black diamonds are definitely real. Black diamonds, as seemingly impossible it may sound, are true work of art. You may be used to the white diamonds that sparkle but black diamonds are definitely a thing. They are just a bit different from what we usually see. 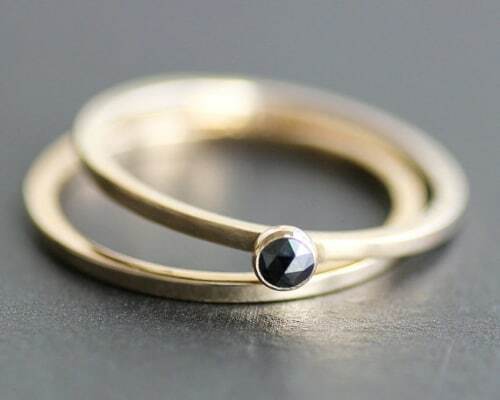 Black diamonds come in three different types; natural, man-made and treated. These types also differ in prices as we’ll dicuss below. 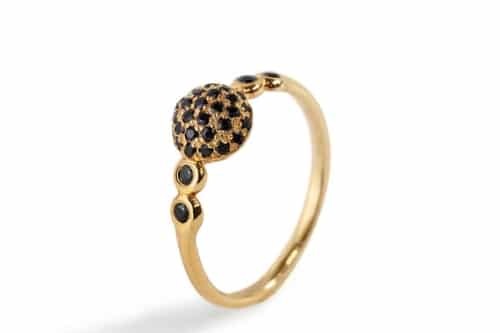 Although diamonds are created in different ways, they are all considered as genuine diamonds, There are black diamonds that are crafted by nature, some are cultured while others are just enhanced. Realistically speaking, the man-made diamonds and enhanced diamonds are sold in a better and more affordable price range than the natural ones. Since natural diamonds are extremely rare, they cost much more than the others. What is so ironic between these three types of diamonds is that natural diamonds have more impurities than its man-made and enhanced sisters but it still cost more. Natural black diamonds are also known as fancy black diamonds or Carbonados. A huge percentage of them are found in Brasil but there are also black diamonds mined in Central Africa. 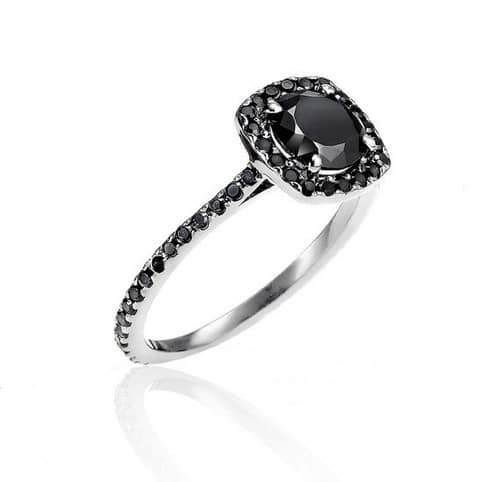 Unbelievable as it may sound, black diamonds are a natural product of nature like the white diamond. The only difference is that black diamonds have a poly-crystalline structure while white diamonds only have a single crystalline structure, Poly-crystalline only means that the black diamond is composed of many small crystals. They are also made from carbon material like the regular white diamond but they contain more graphite. Since they contain more graphite, it is harder to cut them without causing damage or fractures. The large graphite content also makes them appear black. One of the most famous black diamond is the Spirit of de Grisogono which is also the 5th largest diamond mined. Carbonados are extremely rare that even some scientist believe that they are from a giant meteor that possibly hit the earth a long time ago. The enhanced black or treated black diamonds are more affordable. They are white diamonds that went through irradiation or heat to enhance color. White diamonds have an amazing property that allows it to change its color when exposed to certain types of radiation. These enhanced white diamonds can acquire a darker green-black color which looks black in the ordinary light. Most of the diamonds used to produced enhanced black diamonds are the colorless white diamonds that have lots of impurities. Since they have a lot of impurities, their value is very low. In order to enhance their value, they are turned into black diamonds. Cultured black diamonds or cultivated black diamonds are also known as HPHT diamond (High-Pressure High-Temperature diamonds) of CVD diamond (Chemical Vapor Deposition diamond). These are the most common types of black diamond that can be found in the market. Even though they are man-made, it would be very inappropriate to call them as ‘synthetic diamonds’ because they, same as Carbonados, are also made from carbon. If you compare them side by side, it would be very hard to identify which is which, unless you have special spectroscopy equipment. Purveyors of Grown Diamonds Seek Acceptance but there are some people who would still opt for the natural diamonds. When buying a black diamond ring, it is important that you know how they are graded. They are graded differently from the natural colorless diamond. Black diamonds are graded in a similar way a colored diamond or gemstone is graded. Both The American Gemological Laboratories (AGL) and the Gemological Institute of America (GIA) can perform reports and evaluation on black diamonds. Their evaluation would often check the quality of the diamond’s color and cut. In addition to that, they also check the diamond’s measurements and weight. They also get to know if the diamond went through some treatments like irradiation and heat since all three types of diamonds may be treated to improve its color even the Carbonados. You may see black diamonds in labels like AAA, AA, and A. Black diamonds labeled with AAA are considered the best quality but these may also vary retailer to retailer. Since there are no standard laws and regulations followed with these labels, the quality from one retailer to another may greatly differ. There are stores who label their diamonds with AAA while some are still honest, it is better to not rely on these labels. Just ensure to get a black diamond ring from an established and well-reviewed store, like the ones we have selected for you. If you want to get a natural diamond, it is important that you know how to verify if what you are buying is a real natural black diamond. The best way to check if a black diamond is a real Carbonado is by asking for an AGL or GIA report. If the retailer cannot show a report, then it probably is a treated or cultured black diamond. GIA and AGS do not issue reports for treated diamonds. Grading reports contain lots of abbreviations which may be hard to comprehend. To be more specific, GIA only issues the report called “Identification and Origin Reports” which mainly contain the carat weight of the diamond. The prices for different types of black diamond rings differ greatly. These prices are also continuously changing through time. At the moment, the price for a carat of a natural Carbonado diamond ranges from $1500 to $3000. 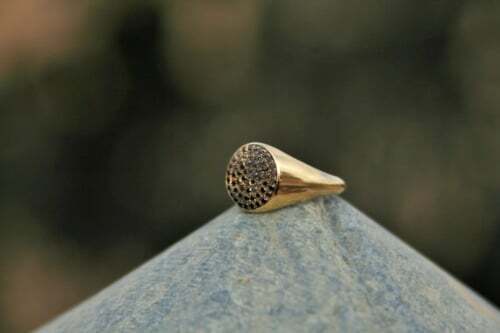 This only means that a ring that features natural Cabonados may cost from $2500 to $5000 depending on the design, cut, and metal used. On the other hand, the price for a karat of an enhanced or treated black diamond ranges from $1000 to $2000. It all varies due to the size, cut, and quality of the diamond. 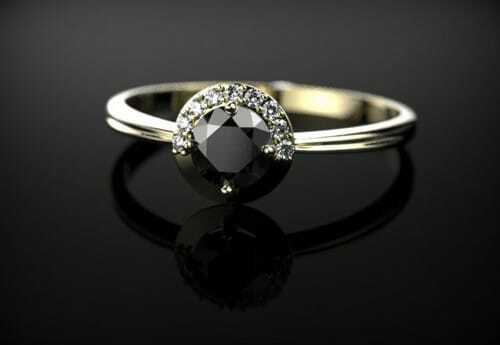 The price for a ring made with treated black diamond may then be around $1500 to $3000. Lastly, the price for a carat of a man-made or cultured diamond ranges from $10 to $50. A ring made from cultured diamond may cost $50 to $1000. It all depends on the design, metal, cut, and details. These are the most affordable black diamond rings in the market. When choosing a black diamond, you should look for its impeccable features. It should have a smooth and glossy surface. It also has to be flawless with a rich black color. At this time, you can ask for the grade of the diamond ring (AAA, AA, A). Although, you should not completely rely on them. The black diamonds are also denser and harder than the traditional white diamond which means that a carat of black diamond is relatively smaller compared to a carat of colorless diamond. Black diamonds look better when paired with white gold. Although it is still absolutely stunning when paired with other shades of gold like yellow gold and rose gold. Other types of metals that go well with black diamonds are silver and platinum. The white color of these metals perfectly contrast the darkness of the diamond. 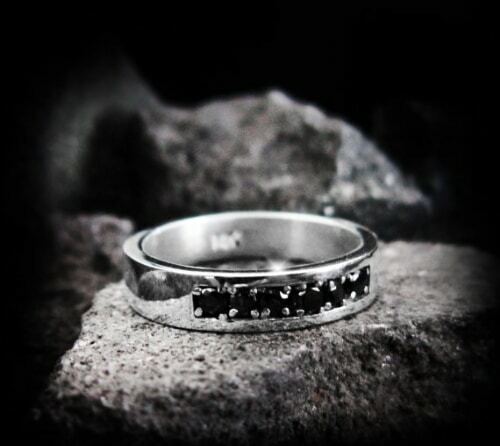 For other men, black would even look more masculine when paired with a black metal like titanium. When buying a ring, it is important to get the right size since you are going to wear it probably for a lifetime. You can measure your ring finger size in the afternoon or in the evening. It is better to do it on those times because fingers tend to swell in the morning and during the day. The measurement is typically done using a mandrel. You may also just try to measure a ring that already perfectly snugs your finger. In the finger size chart, a man’s finger would typically be a Q or S while a woman’s finger would be a J or K. If for some reason your ring does not fit, it can be resized as long as the metals are made of gold, silver, and platinum, and the ring does not feature complex patterns. Where to buy a Black Diamond? When purchasing a black diamond ring, always get from the most reliable retailers. Check their history, reputation, and refund policy. You can also look for jewelry labels with extreme caution. Be careful because you would not want to waste your money on treated or cultured diamond rings when you paid for the price of a natural black diamond ring. 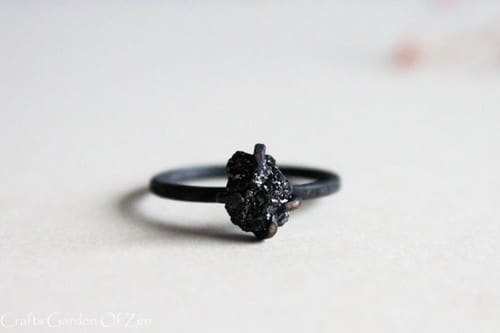 When you see a natural black diamond ring with a price that is too good to be true, then it probably is. 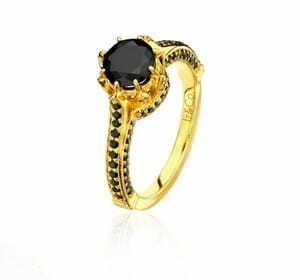 Unfortunately, there are sellers who advertise black cubic zirconia, black onyx, and black glass as natural black diamond rings. If you want to ensure it’s quality, you can have a certified gemologist assess it. If it turns out to be fake, ensure to return the ring within your return period and report them. This is why checking labels, history, reputation, and refund policy is so important. Never use ultrasonic cleaners in cleaning any of the three types of black diamonds. Never expose carbonados in any harsh chemicals. Keep your black diamond rings in a safe place since they are porous by nature. 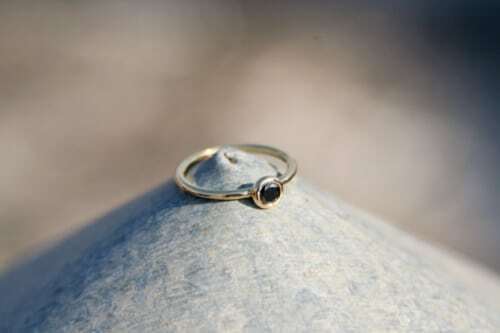 Cultured black diamonds should not be worn when doing chores, swimming, or washing the dishes. Do not expose the black diamond rings with oils, lotions, and other chemicals. Who said that diamonds are just a girl best friend? With its extraordinary shimmer, it literally transforms the stereotypes we know. The availability of black diamond rings in the market lets men express themselves with a whole new level of style and class. 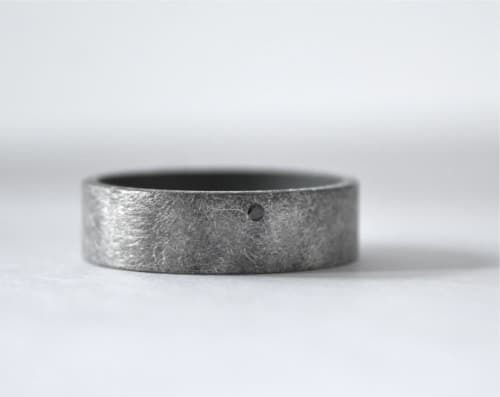 They make the perfect wedding ring and possibly also engagement ring. Get one of these amazing creations and enjoy its beauty for a lifetime.